Now a days technical support engineers prefers to use bootable USB flash drive for Linux installation in place of created bootable CD/DVD drive. Installing system using bootable flash USB drive is much faster than CD/DVD. 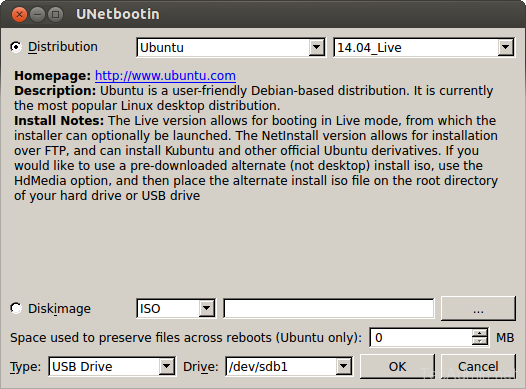 This article will help you to how to create bootable USB drive of any Linux distribution using Ubuntu or LinuxMint operating system. Unetbootin latest packages are available under ppa:gezakovacs/ppa repository. 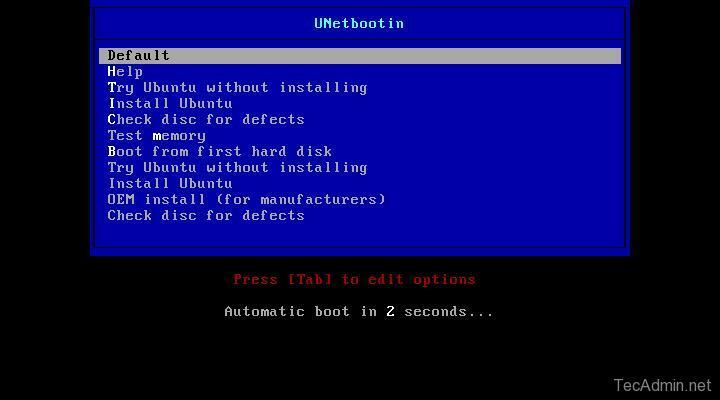 Use following commands to add repository and install Unetbootin. Now download the ISO of your favorite Linux distribution from their official website. or Ignore this step as Unetbootin will do this for you automatically. 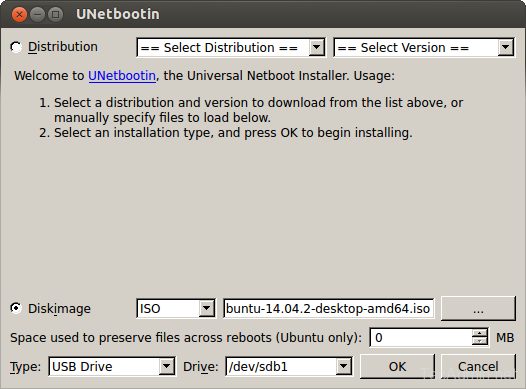 In this step you have two options, first is to select distribution from options to which you need to create bootable usb and second is to select ISO from your local system drive. 3.1 – Select Distribution: this will required internet connection on your system to download ISO directly. 3.2 – Use Diskimage: In this option, you must have downloaded ISO to your local drive. Select ISO. Attach USB Flash drive to your system and select USB drive under Drive dropdown box. Now click OK. You will see progress like below. If you have selected distribution, then #1 download will take more time to download ISO, but if selected Diskimage from local system then step #1 will be simply done and step #2 will start. After completing the installation, you will get screen like below. Do not click reboot until you need it and simply click on Exit. 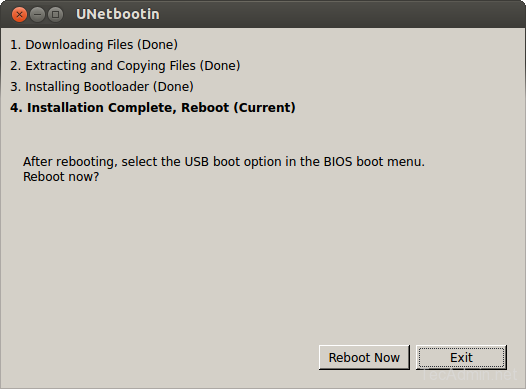 At this step your bootable USB flash drive is ready to boot systems. Attach USB to new system you need to install Linux and boot it from USB flash drive. 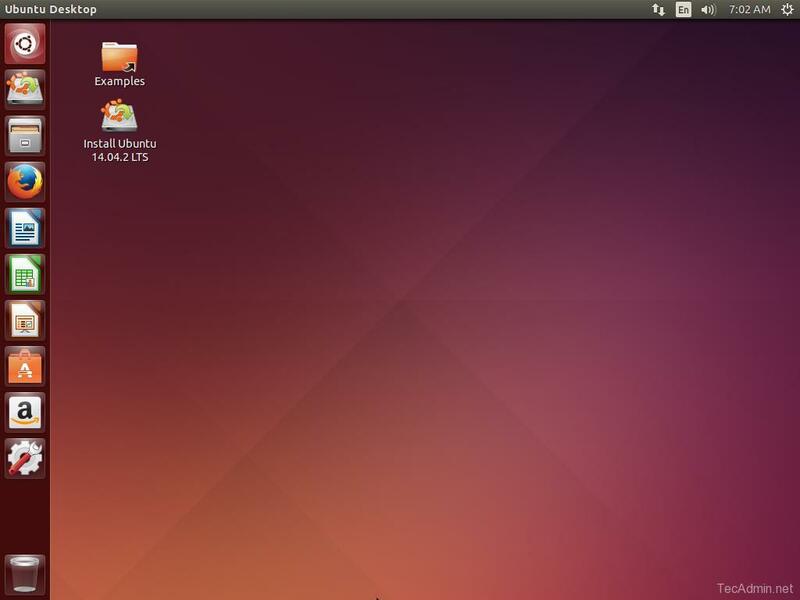 Complete the installation wizard to finish Ubuntu install on your system.